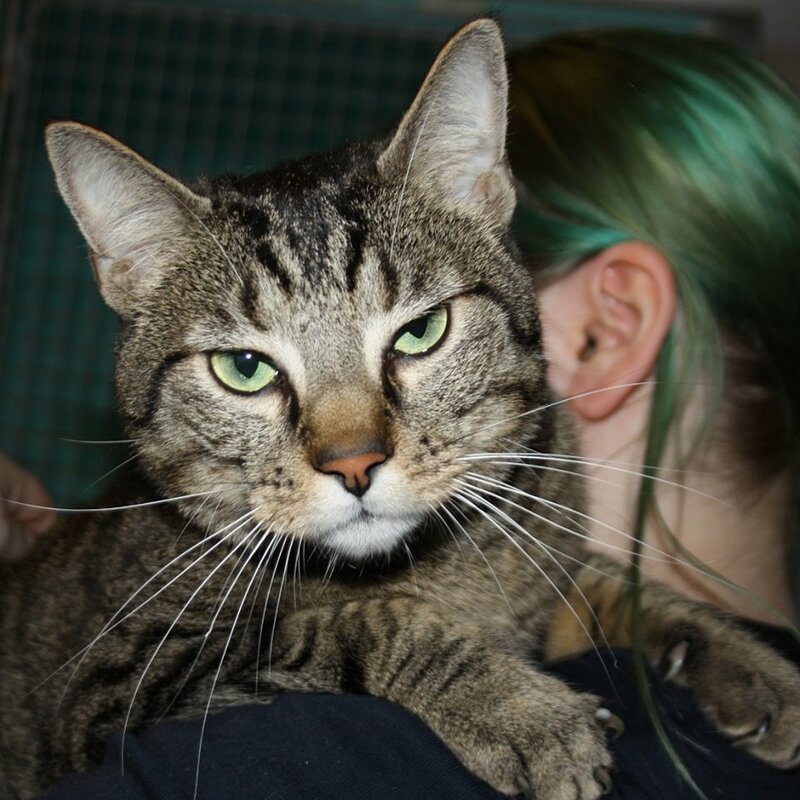 Gyzmo, Cat Lost at JFK Airport, is FOUND! The words “Cat lost at JFK” bring on a sinking feeling but this time there is a happy ending. The Where is Jack team was on the case and Gyzmo was found after 43 hours. Gizmo, in a photo provided to help identify him during the search and to accompany news reports. We got that old sinking feeling reading Friday’s headlines saying yet another cat had been lost at JFK Airport in New York, with memories of Jack the Cat and others flooding back. Jack, as many readers know, was lost at JFK and, despite a massively successful social media campaign, extensive news coverage and a huge search effort, was not found until he fell through a ceiling weeks later, weak from dehydration and starvation. Jack was rushed to the vet for emergency care but his body was too far gone and his family had to make the decision to let him go instead of letting him suffer for any more days as his system shut down. For thousands of well-wishers, elation turned to sadness as Jack lost his battle to live. Some cats lost at airports in recent years have never been found and some lucky others have been found alive. Gyzmo is one of the lucky ones. He was lost at JFK after a flight from Paris to New York and was found today after 43 long, worry-filled hours for his family and animal lovers who learned of his plight. Once again, the missing cat’s disappearance involved baggage personnel. Petmom Agathe Louvet was traveling with Gyzmo on an XL Airways France flight Thursday. His crate came through baggage empty and handlers said they didn’t know how he got loose but they’d seen him running and tried unsuccessfully to catch him. Agathe’s close friend or relative (we do not have details at this time) Pauline LeGay knew or learned where to turn when Gizmo went missing; she contacted Where is Jack, the advocates and searchers who became experts during the Jack experience. A search team with dogs, and including Agathe, was on site today and Where is Jack reported early this evening that Gyzmo had been found and was on his way to the vet. There are no details yet on the rescue, but photos shared by Where is Jack show him with Agathe and the search team. More information will no doubt be available soon. For now, we can all breathe a sigh of relief and say HOORAY! 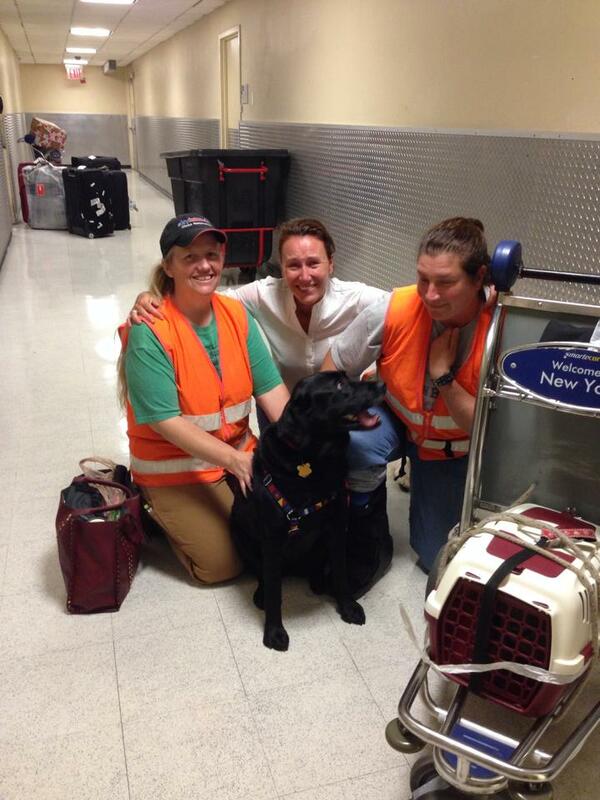 Agathe, center, poses with searchers and Gizmo earlier today, and cries tears of joy and relief. 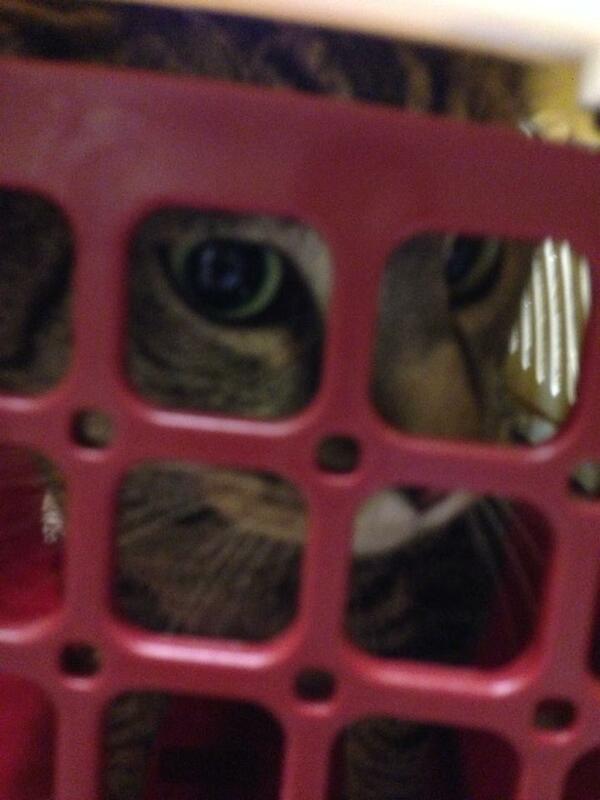 Gizmo, safely ensconced in his carrier after being found at JFK airport. Agathe is featured in this CBS New York news report run Friday, before Gizmo was found. Agathe speaks about her experience at the airport and gets choked up at the thought of telling the children who love him that their cat may be gone. I am SO PROUD of the two pet detectives, Marge Lineweber (left in the photo) and Barbara Costas (right) who responded with their cat detection dog Casey (the black Lab) for their walk up find of Gyzmo. According to a text I received late last night from Marge, Gyzmo was located by Casey hiding inside an unused baggage bin one gate over from where he’d escaped. This team has done a fantastic job in the past in searching for missing dogs and cats. If you ever need their services you can find their listing on Missing Pet Partnership’s website http://www.missingpetpartnership.org/lost-pet-help/find-a-pet-detective/national-directory2/.